Hearing care is health care, and Bacharach’s doctors of audiology offer a full range of sophisticated tests and services for adults and children. The Bacharach Hearing and Balance Center is located at 436 Chris Gaupp Drive, Galloway, and features the Betsy-Ann Rogge Pediatric Audiology Center. The Somers Point Hearing Center is at 647 Shore Road. At both our new Galloway and Somers Point locations, Bacharach offers advanced technology and a caring staff of qualified professionals to provide a full spectrum of hearing services. Janet Revelle, AuD., Director of Audiology, is a graduate of Clarion University in Pennsylvania where she earned her undergraduate degree in Speech Pathology & Audiology. She continued her education at Kent State University in Ohio where she completed a Masters Degree in Audiology. More recently, Janet earned a doctorate in Audiology from Salus University in Elkins Park, Pennsylvania. 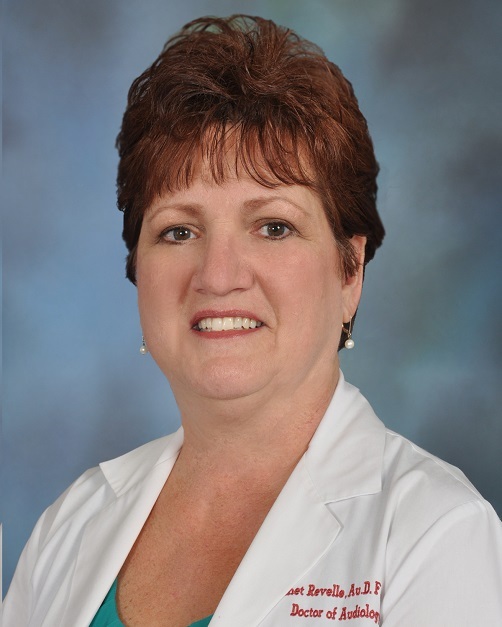 Janet has experience in many areas of Audiology practice, yet specializes in personalized treatment plans and prescribing hearing instrument fittings for adults. She represents Bacharach Hearing Centers at many community education venues and is an avid proponent of healthy hearing and healthy aging. 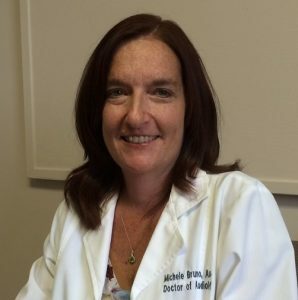 Michele Bruno, Au.D., has been an audiologist for 21 years, serving Bacharach for the past 10 years. She received a Bachelors of Arts degree in Speech-Language Pathology from William Paterson University in Wayne, NJ; a Masters of Science degree in Audiology from Gallaudet University in Washington, D.C.; and a Clinical Doctorate in Audiology from A.T Still University of Health Sciences in Mesa, AZ. Past experience includes both diagnostic and rehabilitative audiology. Michele has worked extensively in the area of amplification and was a long time trainer for a leading hearing aid manufacturer. She also helped launch the first FDA approved middle ear implant for sensorineural hearing loss. 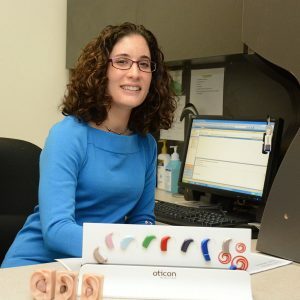 Her passion continues to revolve around the latest advances in hearing aid technology and helping patients increase their quality of life through better hearing. Elena Ballezzi, AuD., has been a practicing audiologist since 2002. She earned her doctorate in audiology from Salus University in Pennsylvania, her master’s degree from the College of New Jersey and a bachelor’s degree in Communication Disorders from the State University of New York at Buffalo. Dr. Ballezzi is fully certified and licensed by the State of New Jersey and State of Pennsylvania, and is a member of the American Speech and Hearing Association. For 10 years she worked with otolaryngologists at Cooper University Hospital where she completed advanced training in specialized diagnostic techniques such as auditory brainstem response (ABR), Electronystagmography (ENG) , pediatric assessments and advanced hearing aid fittings before joining Bacharach Institute. Dr. Ballezzi is the clinical director at the Bacharach Hearing Center in Somers Point. She specializes in diagnostic assessments and amplification with a particular interest in central auditory processing disorders. Dr. Ballezzi believes the best patient is an educated one. Lauren Reale, Au.D., CCC-A has been a Clinical Audiologist since 2003. She received her Bachelor of Science degree in Communication Sciences and Disorders with a concentration in the Education of the Deaf and Hard of Hearing from Bloomsburg University of Pennsylvania. She also received her Masters and Doctorate degrees in Audiology from Bloomsburg University. Dr. Reale currently specializes in both pediatric and adult hearing evaluations and hearing aid fittings. She performs newborn hearing evaluations using auditory brainstem response (ABR) and otoacoustic emissions (OAE) testing. She works with local school districts to verify performance of their classroom FM systems. Additionally, she specializes in tinnitus management and especially enjoys working with military Veterans. Dr. Reale is licensed in the State of New Jersey and Pennsylvania. 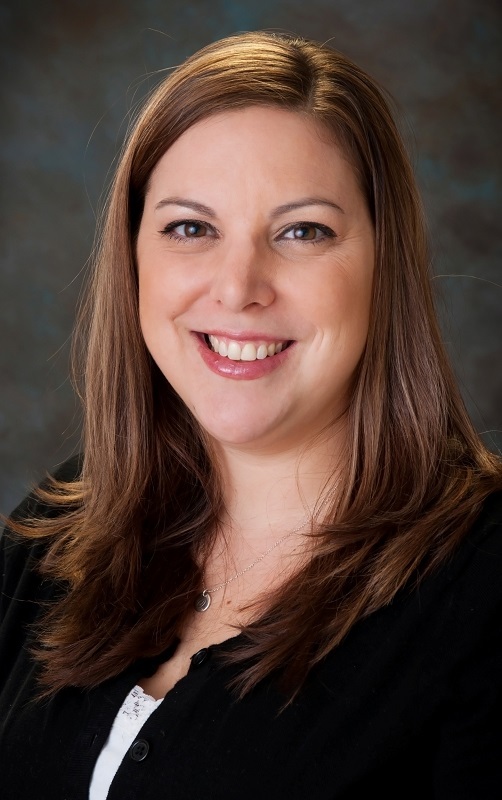 She has her Certificate of Clinical Competence from the American Speech-Language-Hearing Association and is a Fellow Member in the American Academy of Audiology. To learn more call (609) 748-5370 or e-mail. Balance Center Put your life in balance.